William & Mary’s Charter Day celebration Feb. 8 will be bigger than ever with the inauguration of the university’s 28th president and re-investiture of its chancellor. And all members of the W&M community — whether near or far from campus — will have the opportunity to participate. The annual tradition celebrates the royal charter that was issued in 1693 by the university’s namesakes, King William III and Queen Mary II, to found the institution. This year’s festivities, which will mark the university’s 326th “birthday,” will also feature the inauguration of President Katherine A. Rowe and re-investiture of Chancellor Robert M. Gates ’65, L.H.D. ’98. A schedule is available online or via the W&M mobile app, which includes a special inauguration section with campus maps, events and parking information. All of the events are free and open to the public. Here are some ways the W&M community and others can get involved. Celebrate excellence: Join the W&M community in celebrating the accomplishments of several faculty and students during a ceremony at 3:30 p.m. Jan. 31 in Miller Hall's Brinkley Commons. 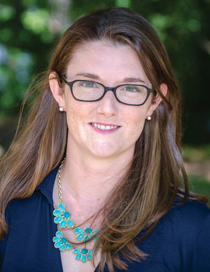 During the event, the annual Thomas Jefferson Awards and Monroe Prize will be presented to two professors and two students, and the Plumeri Awards will be announced. Discuss W&M’s future: Learn how the university is preparing students for the future in three sessions to be held in Miller Hall Feb. 8: Future of Work: Entrepreneurship & Design Thinking, 9:30-10:15 a.m. in the Ukrop Innovation & Design Studio and Alan B. Miller Entrepreneurship Center; Future of Knowledge: Big Data & Artificial Intelligence, 10:30-11:15 a.m. in Brinkley Commons; Future of Service: Veterans Initiatives & Civilian Connections, 11:15 a.m.-noon in Brinkley Commons. Attend the ceremony: The 2019 Charter Day ceremony will be held Feb. 8 at 3:30 p.m. in Kaplan Arena. The event is free and open to the public; no tickets are required. Watch live online: Can’t make it to the ceremony in person? The William & Mary Facebook page will host a livestream of the event beginning around 3 p.m. Watch for special pre-show commentary from Mike Tierney '87, M.A. '88, George and Mary Hylton Professor of International Relations and co-director of the W&M Global Research Institute, and Kay Floyd '05, director of the Whole of Government Center of Excellence. Wish them well: Send your well wishes to President Rowe and Chancellor Gates or birthday wishes to William & Mary on social media using the hashtag #wmCharterDay or online via the William & Mary kudoboard. Compete to win: All are invited to compete for a chance to win a specially designed inauguration scarf. To be eligible, participants must complete three challenges and then be among the first 50 people to post on social media using the #wmCharterDay hashtag. Details may be found on the inauguration website. Bundle up in green and gold: A hat and scarf created to commemorate this year’s Charter Day festivities are now for sale online. Both will also be available beginning Wednesday at the William & Mary Bookstore and will be sold Feb. 8 at a merchandise trailer outside of Kaplan Arena before and after the Charter Day ceremony. The hat, available in green or gold, is fleece and sells for $16.98. The knit scarf is green and gold striped and sells for $19.98. Each item includes a graphic created by University Web & Design. 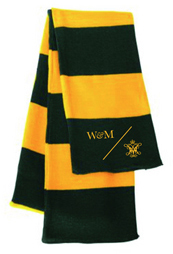 A portion of the sales will go to support W&M’s General Scholarship Fund. Leave your mark: Students can sign a W&M banner following the ceremony. The signed banner will be sent to the university’s archives. Party on: A “Fire & Ice” block party will be held immediately after the Charter Day ceremony, from 5 to 7:30 p.m. Feb. 8 in the Kaplan Arena’s Compton Lot. The event will include s’mores and fire pits, a mac and cheese food truck, a chicken and waffles food truck, W&M glitter tattoos, a DJ, photo opportunities and Returners Homebrew student performers — all for free. The event is open to all members of the W&M community as well as local community members. 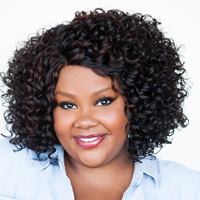 Have a laugh: Comedian Nicole Byer will perform on Feb. 8 after the block party as part of the university’s Charter Day weekend festivities. Comedian and writer Sonia Denis will open the show, which starts at 9 p.m. in the Sadler Center’s Chesapeake Room. Doors open at 8 p.m., and tickets will be sold at the door for $3 for students with ID, $6 for faculty and staff with ID and $10 for the general public. Disagree diplomatically: Join Gates and Rowe as they discuss the role of higher education in encouraging civil discourse around difficult topics and contrasting viewpoints. “The Fine Art of Disagreement & Diplomacy” will take place on Feb. 9 from 1 to 2:30 p.m. in the Sadler Center’s Commonwealth Auditorium. Jaime Settle, associate professor of government, will moderate the event. Anyone may submit questions in advance through an online form. The event will be streamed live online.